Blank Page Muse: I DO BELIEVE IN FAIRIES!! Do you believe in fairies? If you do, you will LOVE the Anime Fairies Stamp Sets at SinCity Stamps! There are 2 different Anime Fairy sets to choose from, in addition to other Fairy sets! Awesome!! I used a watercolor effect technique. I gathered my supplies and picked markers and papers with complimentary colors. 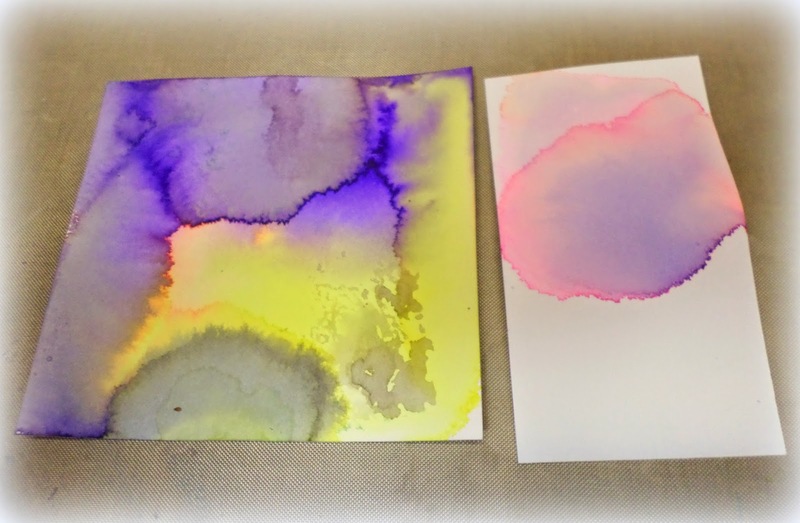 I sprayed a lot of water on watercolor paper. Then, I dipped my marker in the water. As you can see, the small amount of ink instantly spreads in the water. 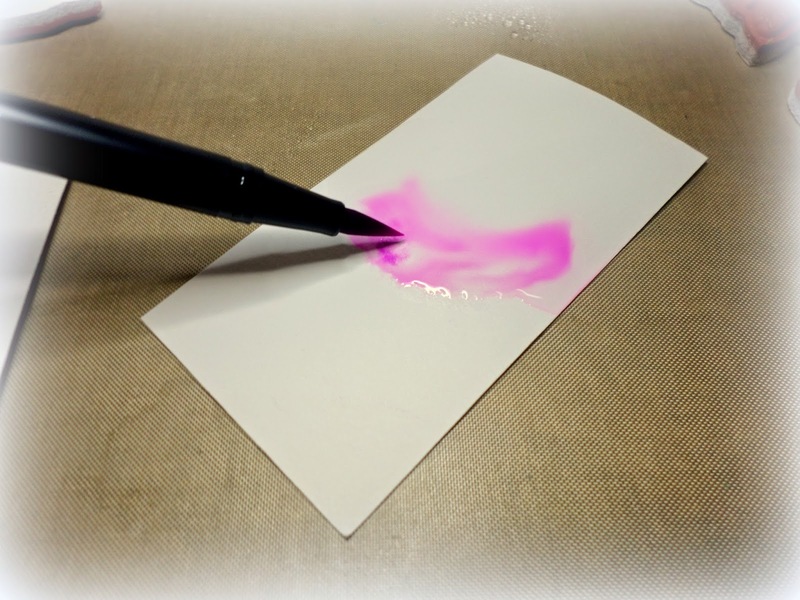 When you are done dipping your markers, just rub them on a clean piece of paper and you will see the marker is good to go. I love how there are some areas where the colors collided and left a water line. Other areas are just really nicely swirled colors. That's the fun of this technique. You never know what you will get! 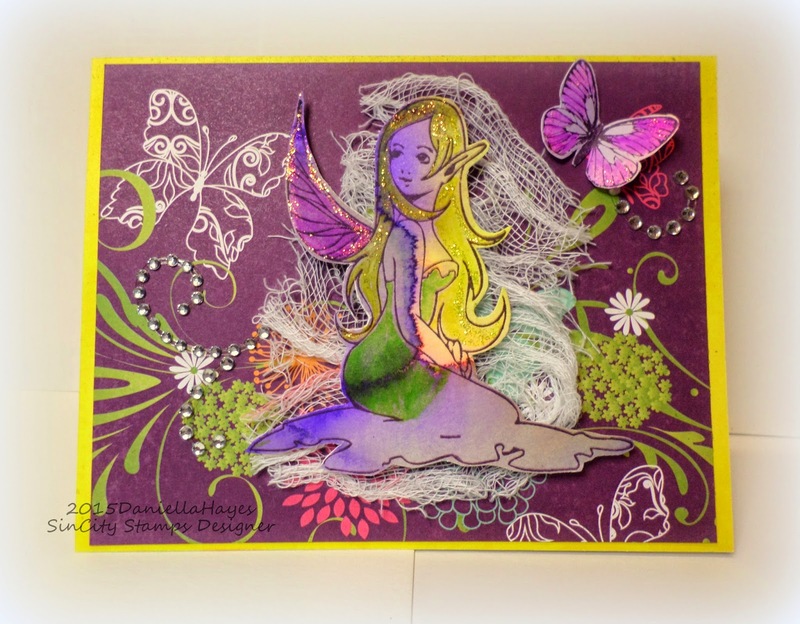 I stamped directly on top of the dried "watercolor effect" paper and cut my fairy out. I LOVE the waterline in her! It looks like she is behind a shadow, looking out. If I tried I couldn't get this effect! I put her on some gauze, to keep her looking soft, and used foam squares to adhere her to the card. I glued the butterfly on the body only and folded the wings up. Butterflies and fairies always leave a little fairy dust behind so I added some glitter and a trail of rhinestones. Thanks so much for visiting! 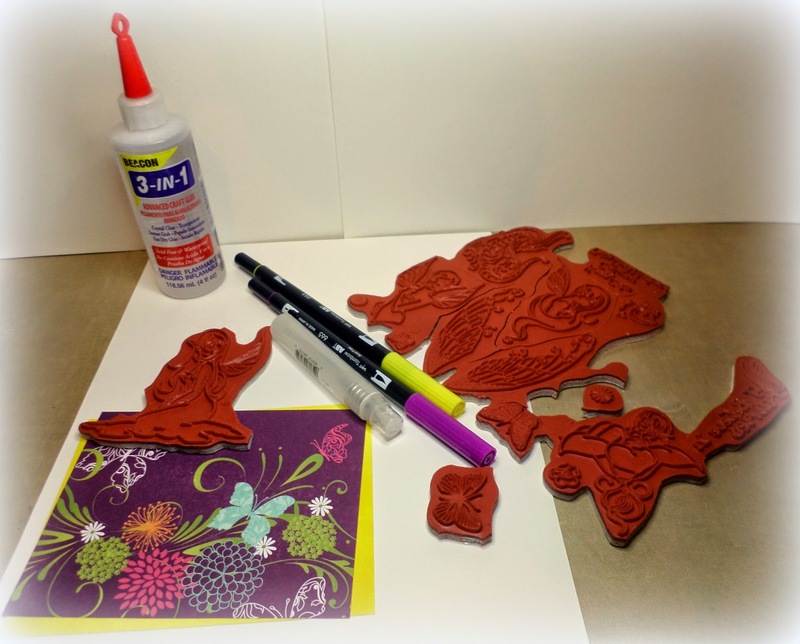 Please visit the SinCity Stamps site and get some fairies of your own. You know you believe!! Very pretty, I love the watercolor technique, how cool! Beautiful effect. 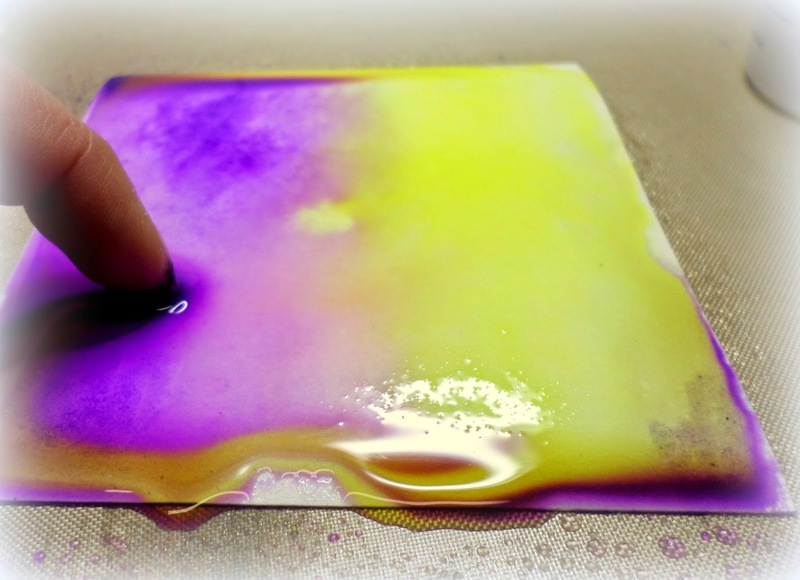 I want to give this a try with my stamps, too.